Healthy beards demand hydration, nutrition, and moisture- the more you have grown them, the more oiling they would require. By not providing adequate moisture to your beard you risk coarse hair, itching, dandruff and dry skin. Our Young lad beard oil is a blend of Eucalyptus, Pinewood and Cedarwood essential oils- an unquestionable solution to all the beard problems. A perfect blend of carrier and essential oils, it is rich in essential nutrients that keep dry hair and coarse hair at bay. Young Lad beard oil is a youth fountain for young beard growing enthusiasts. Just as most of our beard oils, this blend is lightweight and easily absorbed by the skin. It would not leave a greasy and untidy look. It tested and proven to support the growth of long beards. It features a light and masculine fragrance that invigorates you throughout the day. Think of it as a bottle of forest pines, designed to please you. Our beard oils are exceptionally easy to use. All you have to do is place a small amount of oil on your palms. Rub it all over your hands to evenly distribute. Use your fingers to reach down the skin while massaging the pores and grooming the beard. The combination of essential oils and carrier oils has undoubtedly a wide range of advantages for skin and care. We have used the same formula in our beard oils to provide our customers with a range of high-quality beard oils. Our product is designed to be season friendly, chemical free and non-toxic overall. 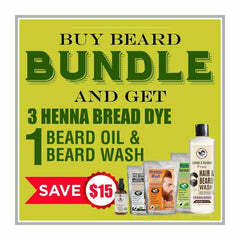 It not only keeps your beard in a good health but also aids in maintaining an itchy free smooth skin throughout the day. With Young Lad beard oil, you get a refreshing aroma, a long and healthy beard, and smooth and clear skin. I bought this Henna Guys beard oil for my younger brother and it was very helpful. It supported beard growth and removed dryness and itching.